We will be stocking some new StoreWALL products over the coming month (Feb 2019) which I think many of our existing clients and those looking to use StoreWALL for the first time will be really excited about. 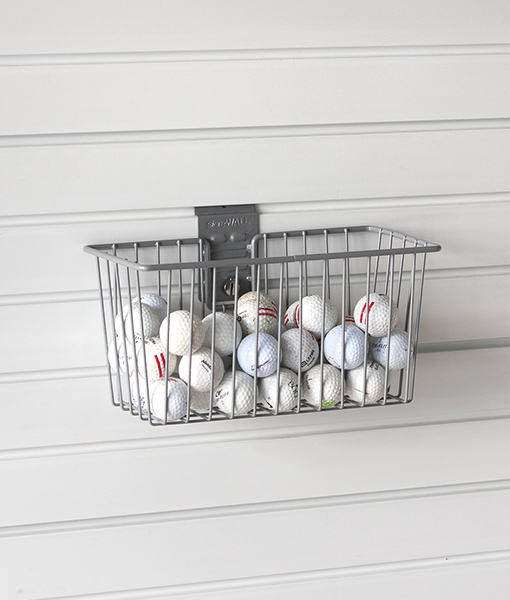 The new product range includes larger brackets, new shelving options, tools holders and baskets. I have provided details of them below. 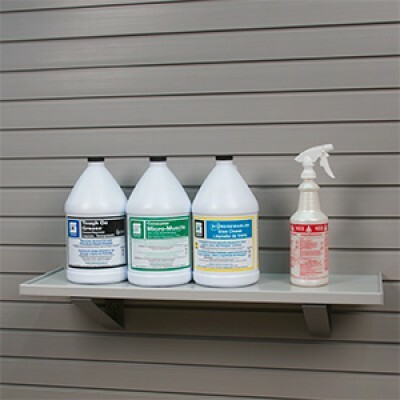 Our new StoreWALL products will be in our store hopefully before Christmas. Look out for them and the blog post promoting them. Also look out for our newsletter on these great additions. The new range is all listed in our shopping cart with pricing included. Stock will not be available till the 2nd half of February. Please check with us if you want to pre-order. 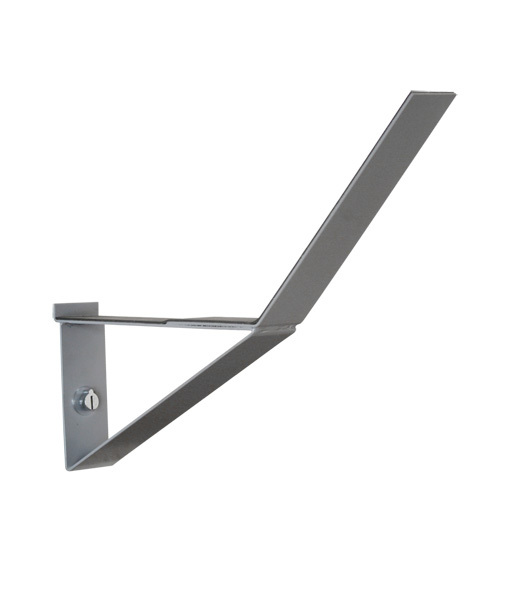 Whilst we have had brackets available in two sizes since we launched, the angle brackets are a welcome addition as they add the ability to hang much larger items from your wall like kayaks and larger surf boards. We will be adding two sizes to our store, the 254mm and the 381mm option. Since we launched I have been keen to introduce more than the standard weathered grey wall panel option. StoreWALL has over 7 colour options. Carrying them is not quite an option at the moment but introducing at least one or two more colours is. 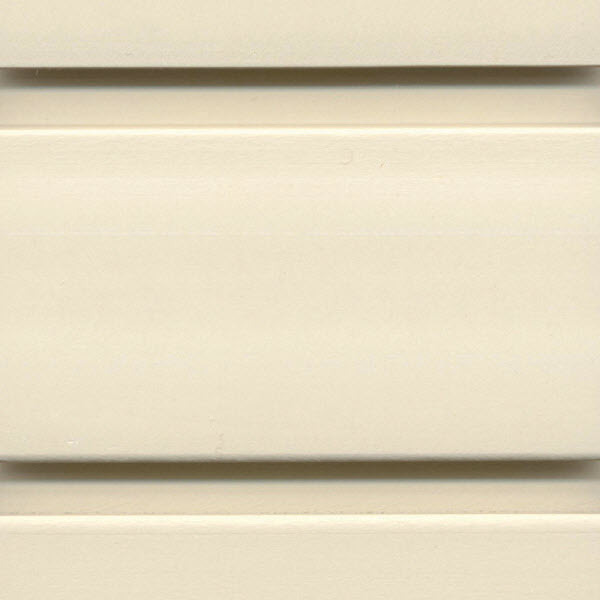 We will be adding the Dover White and Brite White 2.4m panels as a trial and see what demand we receive. Depending on demand we might also add the 1.2m wall panel in time based on demand. Trims for both colours will also be coming in. The Magnetic bar is a bit of a specialty item and I hope will prove popular. As the title states it allows you to connect and hang all types of metallic tools or items without actually needing to hook them. Ideal for pliers, screw drivers and other tools. It is finished with nickel plate to provide additional durability. 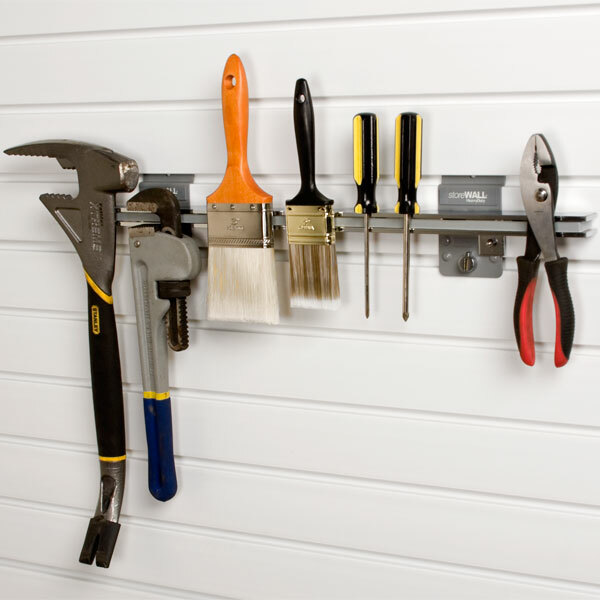 These new tool organisers will be here in a fortnight and we already have orders for them which is exciting. As you can see from the photo they have pre-drilled holes so you can slot your tools in and have them accessible when you need them. The new clips we are adding will help you to hold your gardening gloves and other smaller items that you want on your wall but not hidden away. 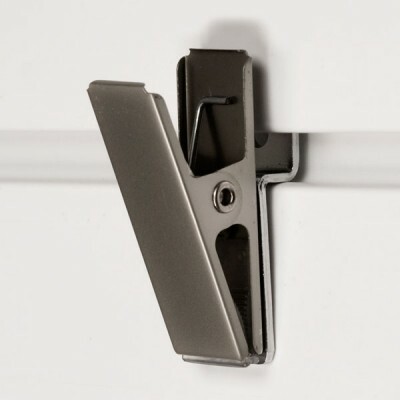 The clips are padded to protect whatever it is that you are holding. The direction they hang can also be changed. We already stock all sorts of baskets and all sorts of sizes. The Caddy basket is small in size. It’s dimensions are 150mm in height and depth and 300mm in width. Ideal for small sport items and cleaning needs. We are adding some additional shelving options. 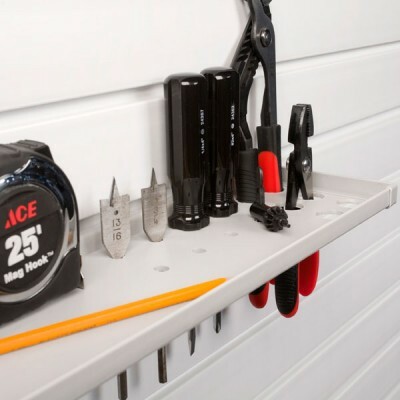 These new shelves are plastic not metallic and come in 800mm and 1.2mm lengths hanging 254mm off the wall. 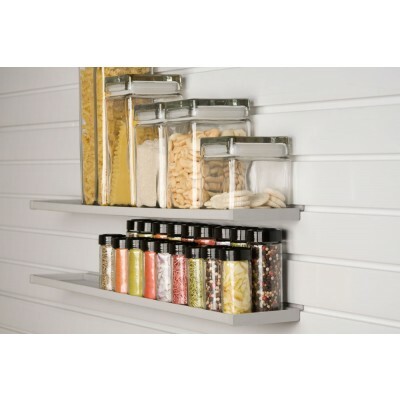 They will compliment our larger and heavier metal shelves which have also been very popular but are larger and heavy. These new options are much lighter and easier to move around. The shelves will need brackets which will be sold separately. The final addition is the ledge shelf. This is essentially the standard shelf but with the added lip and will come in both the 1.2m size. The plastic surface is thermoplastic the same as the wall. The lightweight thermoplastic does not require paint or finishing, and is simple to keep clean. We look forward to your feedback on these new items and hope to bring in more in 2019 as the StoreWALL range in the US grows and we see demand for these products in Australia.